Grand Opening on Valentine’s Weekend on February 13 & 14 Features Chicago’s Stand Up Comedy Headliners Sean Flannery, Derick Lengwenus, Russell Williamson, Kevin Williams, Sean White and Ali Clayton. 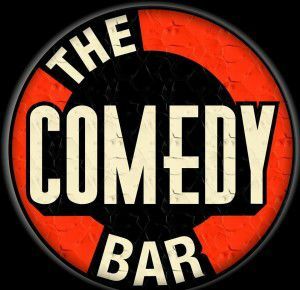 CHICAGO (February 2015) – The Comedy Bar, formerly located at 157 W. Ontario, is now under new ownership and located at Gino’s East River North’s third floor in the historic building at 500 N. LaSalle Street. The grand opening will take place on Valentine’s weekend, Friday, February 13 and Saturday, February 14, with showings at 8 p.m. and 10 p.m. Tickets are $20 per person; or the grand opening Valentine’s package is $55 per couple, which includes two tickets, two glasses of Prosecco, and a dessert. The star-studded grand opening headliners include: Sean Flannery, voted best stand-up comedian in Chicago in 2010 by the Chicago Reader; Chicago resident Derick Lengwenus, winner of the Audience Choice Award at the TBS Just For Laughs Festival; Russell Williamson, a New Jersey native who has made himself a household name in the Chicago comedy scene since moving here in 2005; Kevin Williams, who once served in the Army and United States Coast Guard where he won “The Funniest Person in the Military” Comedy Contest; Sean White, named one of the 2014 “Top 16 Chicago Comics” by Chicago magazine; and Ali Clayton, whose stand-up and solo characters have been featured in the Cape Fear Comedy Fest, Laugh Track Comedy Fest, Chicago Women’s Funny Fest and TBS Just For Laughs Chicago. The venue is now housed on the spacious third floor at 500 N. LaSalle which features a performance stage; a full bar and Gino’s Brewing Company and craft beer menu; and signature Gino’s East River North appetizers including Deep Dish Nachos, Homemade Spinach Mozzarella Sticks, Jumbo Chicken Wings and more. Guests may enjoy deep dish pizza prior to or after the comedy shows on the first and second floor dining rooms. The space accommodates 160 guests and is great for private events, corporate- and tour- group outings. Wednesdays at 8 p.m. & 10 p.m.
Fridays at 8 p.m. & 10 p.m.
Saturdays at 8 p.m., 10 p.m. and 11:30 p.m. Follow on Twitter: @TCBChicago and www.facebook.com/TCBChicago.